A small airfield in the beautiful Setesdal in south of Norway hosts a spectacular drag race event. Between high mountains the roar of the race cars gives shivers along the spine. That’s where the name of the race comes from, Thunder Valle. 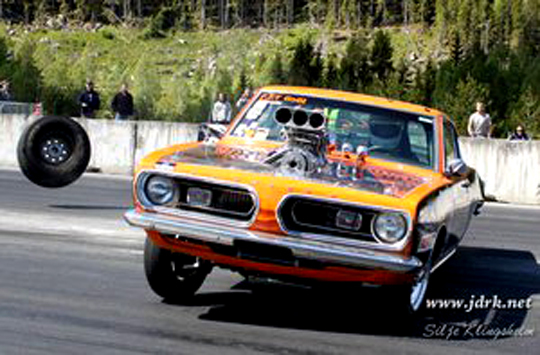 Jæren Drag Race Club was founded 1997 to arrange Street Legal races and to work for an own permanent drag strip. 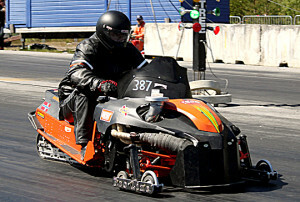 1998 was the first Street Legal race organized and the following years a couple of those events and a Thunder Valle event until 2008. After that a couple of races been arranged every year. The club have their own crew in all categories with a long experience and routines. The activities was a bit low for a while, but 2012 a new setting of the board gave a new breeze in to the club. And for 2016 the club have decide to take EDRS in to their arrangement. Which we in the organization is very happy for. All classes are to be taken in, except for Top Doorslammer which is a too fast class for the track. 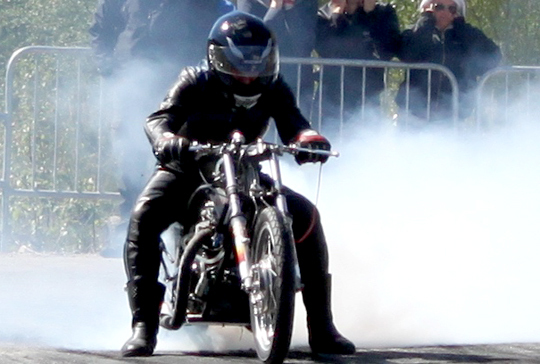 Jæren Drag Race Club are a tight team who have a lots of fun during the event. 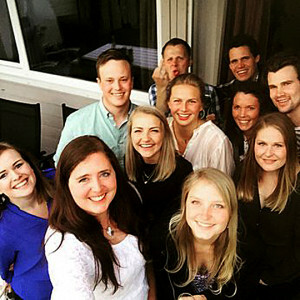 One of them is Silje Klingsheim who is the clerk of the club. She started as a young teen as her dad who took the family to races. – I and the family started to hang out with my dad who was racing, says Silje. When I was a bit older I started to sell tickets. When the club re-started I got the responsibility of the website and secretariat. It’s me and mum who work together there and my dad and sister helps out too. They have also been racing, which I never have done. Rune Bakke, the son of Stig Bakke who have been racing for many years, is the chairman of the club and he started to race in 2011. He´s been driving in several different classes. This year he got a new car and still haven’t decide what class he will chose for it. 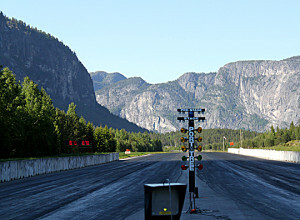 10-12 of June is the first race at this spectacular track and there’s a great opportunity to see a lot of the beautiful country of Norway on the way to the event, as the track is in the middle of the south part of Norway. The second event at the track is 1-3 of July.